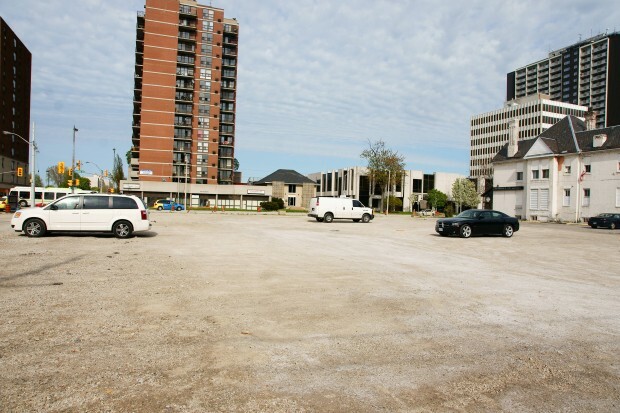 Monday evening, City Council will receive a report from the Planning Advisory committee approving a new parking lot along Windsor’s main street, Ouellette Avenue. The approval is for a three-year temporary parking lot located on the site of the former Jokers bar that was torn down a few years ago. The site is already a gravel parking lot, and this is to bring it up to City standards. Some of the the requirements from the Committee are a 30m x 30m landscaped open space at the intersection of Ouellette and Elliott Street. And 10m of landscaping along Ouellette. Only one access point off of Ouellette will be permitted. The new lot will have 73 parking spaces, of which 30 are already leased to Enwin. In three years time, the owner hopes to build a new retail building on site.